We are proud to announce that the FloWav Service-Support staff has relocated their efforts to a new office in Chattanooga, TN. 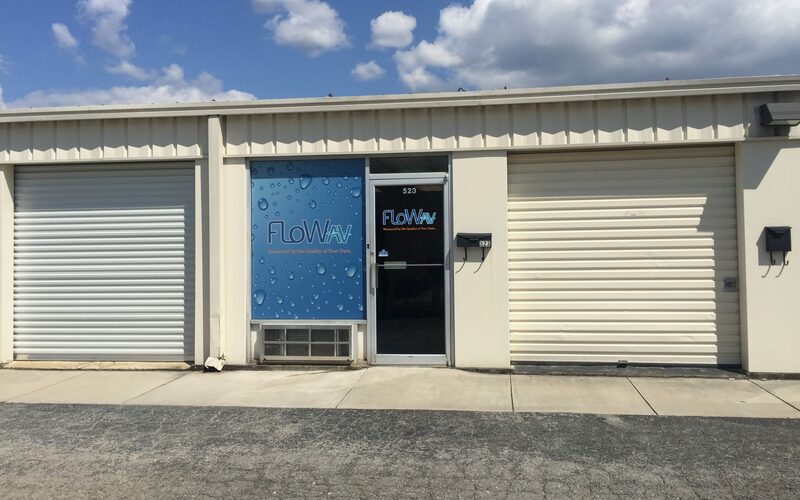 The new space for the FloWav Service-Support Staff includes newly renovated office space as well as a large warehouse where we are shipping both new and rental equipment out to our customer base. Our flow loop, used for testing sensors when they come back from rentals is set up and functioning and we have areas designated for maintenance and repair work. The flow loop has been invaluable to our team when testing sensors and it is much more efficient and accessible in this new location. Whatever our team needs to accomplish, they can do it from this new facility. The moving of equipment was completed during the first week of August however it took several more days to have everything set up, labeled and put into proper places. We have allocated space for all types of FloWav Flow Monitoring Equipment, including mounting bands. Rest assured we are now prepared to get you the products you need in a more timely manner. We are excited about our growth! Come visit our booth, 4719, at WEFTEC 2017 where you will see first hand the new and exciting products that will be unveiled there. We know confidence in your equipment is paramount, move forward confidently with FloWav equipment in your arsenals! The rest of 2017 and all of 2018 is going to be INCREDIBLE for FloWav and our customers! Don’t miss out!